Looking for something non-Super Bowl related to fill your morning with? Since the big game doesn’t start till 2ish (I think), I thought I’d make good use of the day and finally process the NAMM show. What is NAMM you ask? Well, to be honest, despite having attended the convention four or five times, I had to look it up. It stands for, the National Association of Music Merchants. Basically, a long time ago, somebody asked: How much leather can we fill the Anaheim Convention Center with? 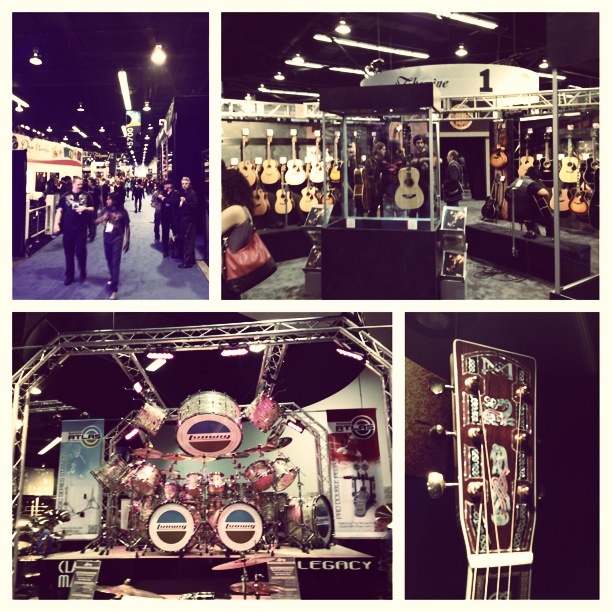 Actually, the NAMM Show is the place to be if you are involved in music retail in any way. 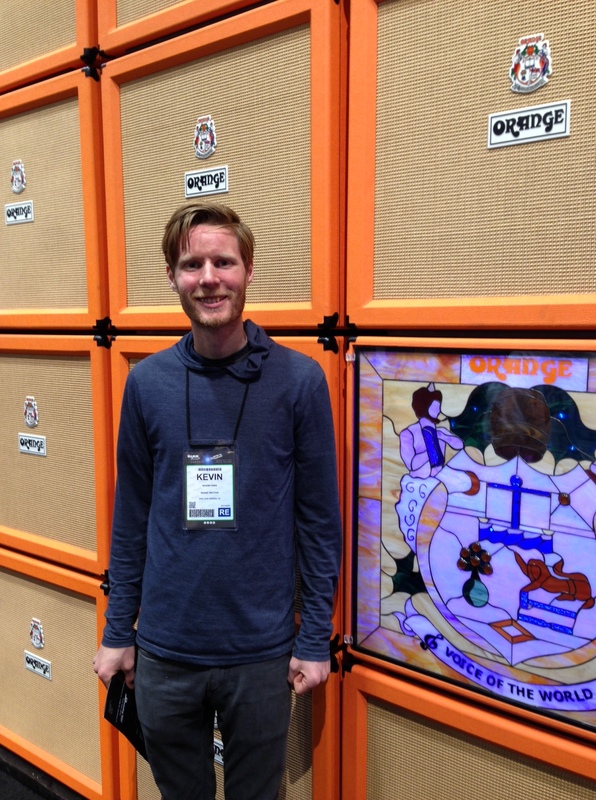 There are booths (sometimes entire rooms or floors) from every brand of gear you’ve ever heard of. For gear heads, this is like Disneyland—yes Disneyland is literally right across the street, but you get the idea. Even the most motivated gear head could probably spend all four days of the event without seeing everything. It’s that big. NAMM is a member only event, or closed to the public, and I generally get in through connections. I’ll give you a hint, it’s definitely not my Uncle. What makes NAMM interesting for non-gear heads, like myself and say, my wife, is that whenever a musician is “sponsored” by a company, they generally are contracted to come to these events. In another words, you run into a lot of interesting people. Well actually, you just run into people. Especially on Saturday, holy geez, that’s a lot of people. But B-list music celebrities autographs was not my thing this year. I actually did enjoy some of the gear exhibits. My wife and I spent half the day at Disneyland and half at NAMM. Yes, that is a lot walking. What is my point? We prioritized our time and saw the good stuff. Airborne. This is not a fancy new music company. No, I’m talking about the actual vitamin induced tablet you drop into water. This is what we should’ve taken. My wife was sick all week after NAMM and we didn’t put two and two together until a friend posted on Twitter about the “NAMMthrax” virus going around. Next year, be prepared! That many musicians should never be in one building. 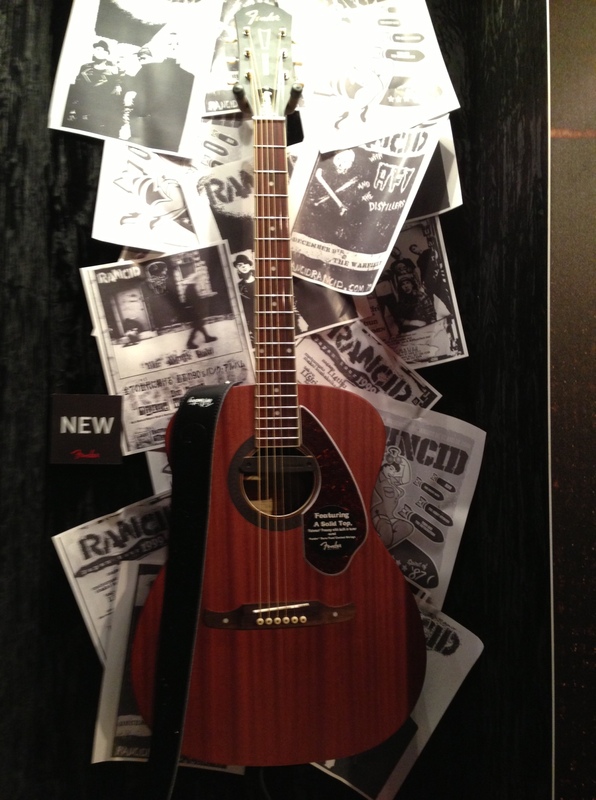 Tim Armstrong Fender Acoustic. There is so much to like and not like about this statement. Tim Armstrong acoustic? Fender makes acoustics? I’m not so sure about this. Yeah, I don’t know why, but this was awesome. Bonus: The food left something to be desired. In another words, it was disgusting, super expensive, and the lines were longer than the new Cars ride in California Adventure. Note to self: Sneak in a granola bar next year. I have a family friends who live in Anaheim. Will sure check this one out. I know you’ve heard this claim from all people but I am seriously a big fan of music.